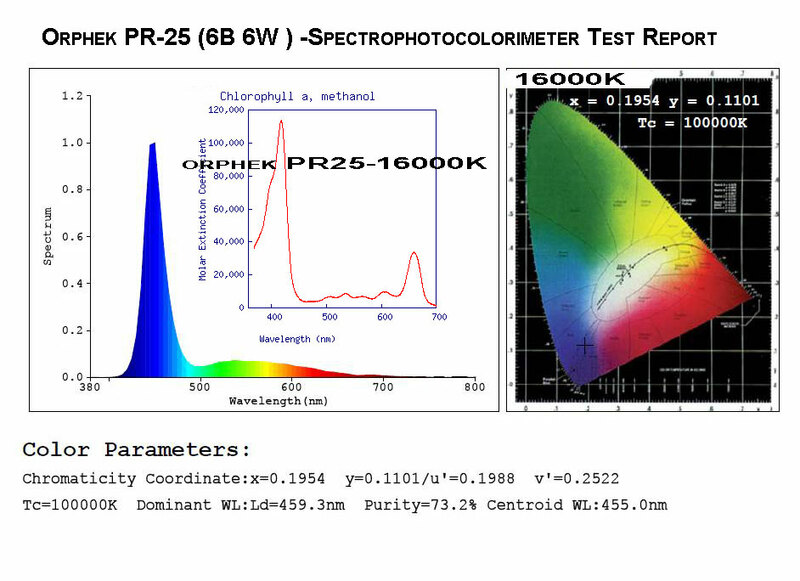 Deliver a better spectrum that closely matches the spectrum of our Atlantik LED Pendant (See spectrograph below). Cool operation requiring no fans. Equip with state of the art Orphek, one watt LEDs. Provide the required intensity for corals in nano aquariums and/or refugiums. Removable lens for wider light spread. The Orphek NR12 was designed to be used with nano aquariums and refugiums alike and to provide the required PAR need to grow corals or macro algae (refugiums). Twelve, one watt Orphek LEDs are used in the NR12 and the LED layout is shown below. The NR12 can be ordered with your choice of LEDs or Kelvin temperature which makes it highly suitable for freshwater planted nano tanks. The NR12 can also be used for lighting shallow coral frag tanks in stores or in the hobbyist’s fish room. The NR12’s spectrum closely matches the Atlantik’s spectrum and also features one Orphek special UV LED which is needed for chlorophyll A. Zooxanthellae depend on chlorophyll A to survive and corals cannot survive without Zooxanthellae present.